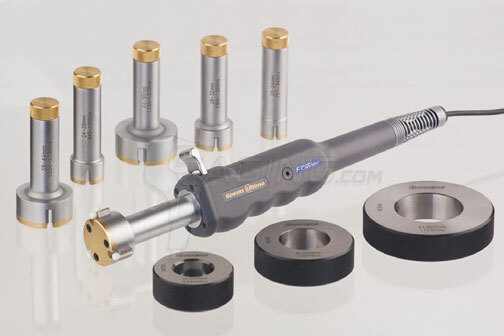 Featuring Bowers' historic quality and high-accuracy the Ultima Bore Gauging System is the next generation of Bower's famous Super-Bore line of bore gages and accessories. Contact us for details! Gaging.com LLC is Bowers factory certified. Setting rings manufactured to DIN Standard 2250 part 2. Extended head ranges (above 14mm) for greater flexibility and cost-effective measurement. All 2-6mm sets supplied as standard with depth-stop. Constant spring pressure ensures top repeatability. Positive feel when heads self-centre in the bore. Fastfit measuring heads for rapid replacement. UKAS certificates standard for all measuring heads. UKAS certificates standard for all setting rings. Depth stops available for all heads.